Your reputation – and your career – hinge on hiring the highest-quality applicants. But these days, it's easy for savvy applicants to fake their way through interviews. 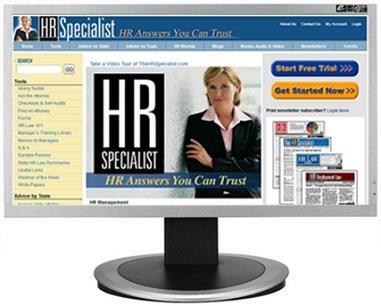 How do you cut through the interview BS and identify the true high performers? On Wednesday, April 17, attend the Interviewer Boot Camp to discover powerful techniques that give YOU the upper hand in interviews and improve your quality of hire. Properly trained interviewers are 86% more likely to make successful hiring decisions, but few HR pros and managers ever get training on interviewing. Take these 75 minutes to learn the best questions to ask – and how to ask them. 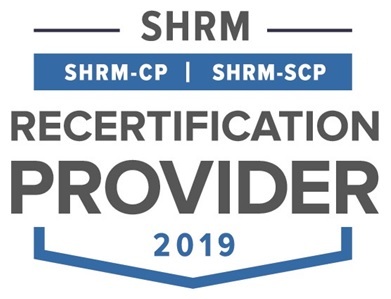 Carol Quinn, one of America's foremost experts on interviewing and hiring, led this Boot Camp at an overflowing mega-session during a recent national SHRM conference. 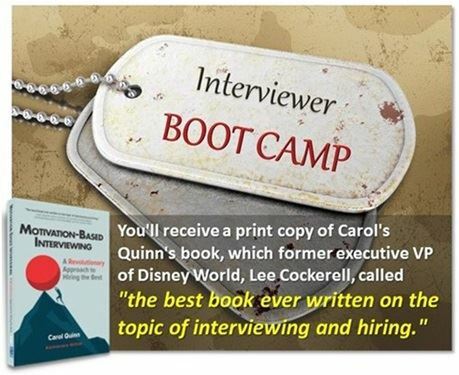 Just for attending this webinar, you'll receive a print copy of Carol's Quinn's newest book, Motivation-Based Interviewing: A Revolutionary Approach to Hiring the Best, a 225-page "how-to" guide that Lee Cockerell, former executive VP of Disney World, called "the best book ever written on the topic of interviewing and hiring." This must-attend webinar will teach you how to ask the right questions to gauge each candidate's level of motivation and passion – essential drivers of employee performance. 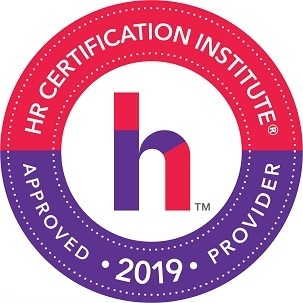 As Ken Blanchard, author of The One-Minute Manager, says: "Don't make a hiring decision based on a 'gut feeling'… Motivation-based interviewing will enable you to assess each candidate's level of self-motivation and quickly identify a high achiever!" On April 17, tone and sculpt your interviewing skills, learn how to break through all the canned answers and discover the real truth about your candidates. P.S. Registration Bonus. 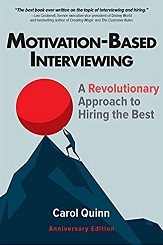 You'll receive a print copy of Carol Quinn's newest book, Motivation-Based Interviewing: A Revolutionary Approach to Hiring the Best, published by SHRM. This is the complete guide to asking the right questions – in the right way – so you can accurately assess skill, attitude and passion. Once you learn how to separate the pretenders from the high performers, you'll never conduct an interview any other way! This popular 225-page book is in its second printing and recently sold out at the SHRM annual conference. P.P.P.S. We promise you'll be satisfied. 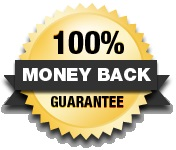 If Interviewer Boot Camp fails to meet your needs in any way, we will refund 100% of your tuition – every penny you paid – but your course materials, registration bonus and website access will be yours to keep. No hassles, no questions asked.